Welcome Home!! 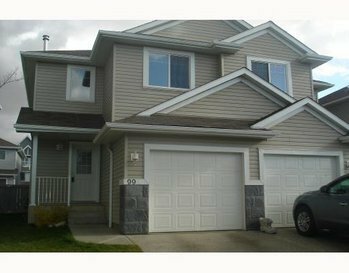 Come relax in your new 3 bedroom duplex in SE Edmonton! Enjoy over 1270 square feet of functional living space! Beautiful maple laminate flooring throughout the main floor, with matching maple cabinetry in the kitchen. Your kitchen is fully loaded with new appliances (fridge, stove, diswasher) and an island bar. Open concept throughout the main floor gives you the most space possible! Your gas fireplace in the living room is the perfect spot to cozy up to after work. Fully fenced backyard with patio - perfect for those summer BBQs! Upstairs there are three spacious, carpeted bedrooms for you and your family to spread out in. Two full bathrooms, and one half bathroom on the main floor. Basement has been fully developed with a large rec room and full bathroom. What more are you looking for? Easy access to Whitemud Freeway. Shopping, banks and more a stone's throw away.